On October 26th and 27th of 2018, the University of Chicago hosted “Silencing the Past @ 25,” a commemorative conference in honor of the work Silencing the Past: Power and the Production of History. The year 2020 will mark the 25th anniversary of the publication of Michel-Rolph Trouillot’s seminal text. 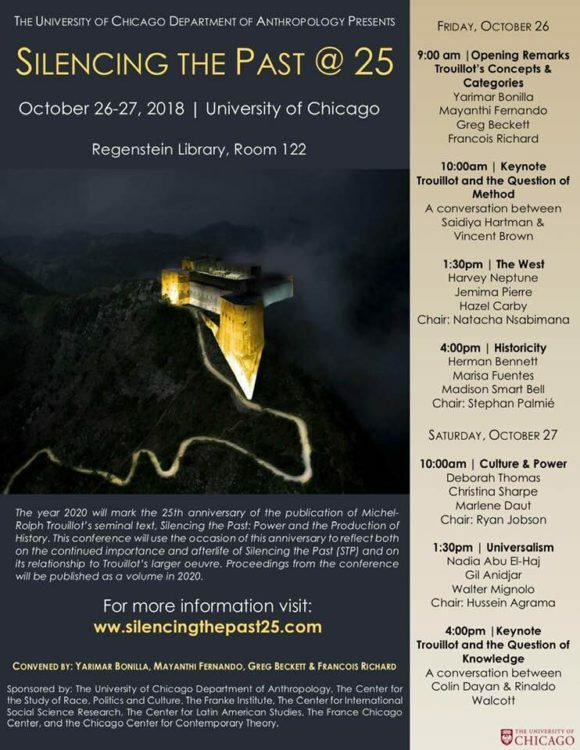 The purpose of the conference was, “to reflect both on the continued importance and afterlife of Silencing the Past (STP) and on its relationship to Trouillot’s larger oeuvre” (About). Video recordings of some of the conference panels are currently available online and can be found here. Proceedings from the conference will be published as a volume in 2020.